Kami and Dave Whiteis have shared their passion for health and fitness with thousands of people on the Eastern Shore since moving from Minnesota in 2005. They have three children who are active in Jiu Jitsu (Yamane) and Gymnastics (Bay City). They strive to be healthy role models for their children, their clients, and their community. Kami and Dave are educated, certified, licensed and insured personal trainers. They WILL NOT solicit supplements, fad diets and drinks, or unsafe/ unhealthy pratices. All results will be from proper nutritional intake (NOT DIETING) and hard work! There are no shortcuts or quick fixes while working with Kami or Dave. In 2015, Dave Whiteis was selected as one of the TOP 10 TRAINERS IN THE WORLD by Life Fitness. Dave Whiteis is an 8-time NCAA Track and Field All-American and Indoor 400m National Champion. 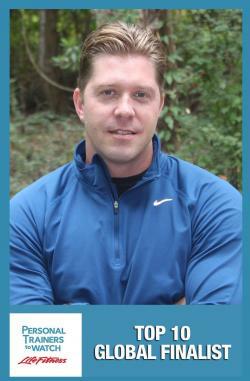 He has a Masters degree in Exercise Sports Science and is a Certified USA Track and Field Coach. Dave is an Expert in Speed and Acceleration Dynamics and Running BioMechanics. He uses video analysis technology to examine and TEACH his athletes proper running mechanics. Dave also specializes in post orthopedic rehabilitation. Many Doctors choose Dave as their personal trainer and refer their patients to him.